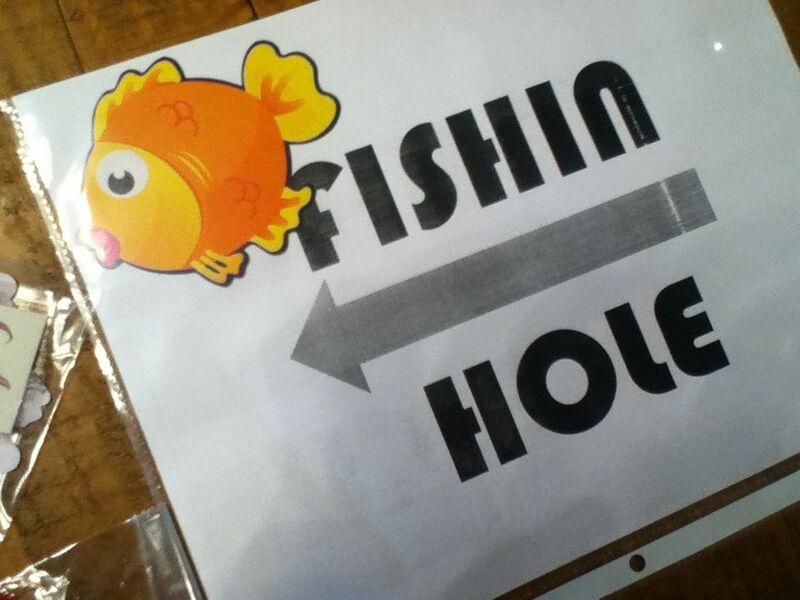 The arena will be set up with an obstacle course that includes a “fishin’ pond” in the middle where we will use a magnetic fishing pole and fish in a kiddie pool which is attached to a table. The students will ride the obstacle course, stopping at the “pond” to fish and will put their catch into a bucket nearby. 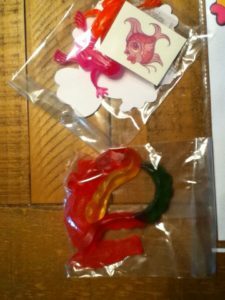 This will earn them their “bait bag” of goodies (Swedish Fish and gummy worms in a little treat bag) and their prize bag with flippin’ frogs and fish tattoos. There will also be Goldfish bags (goldfish crackers) to give out. 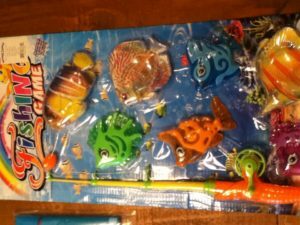 and allow the riders to paint a wooden fish, play the fishin’ hole game (corn hole), and just hang out together at the tables which are covered in plastic fish-themed covers. 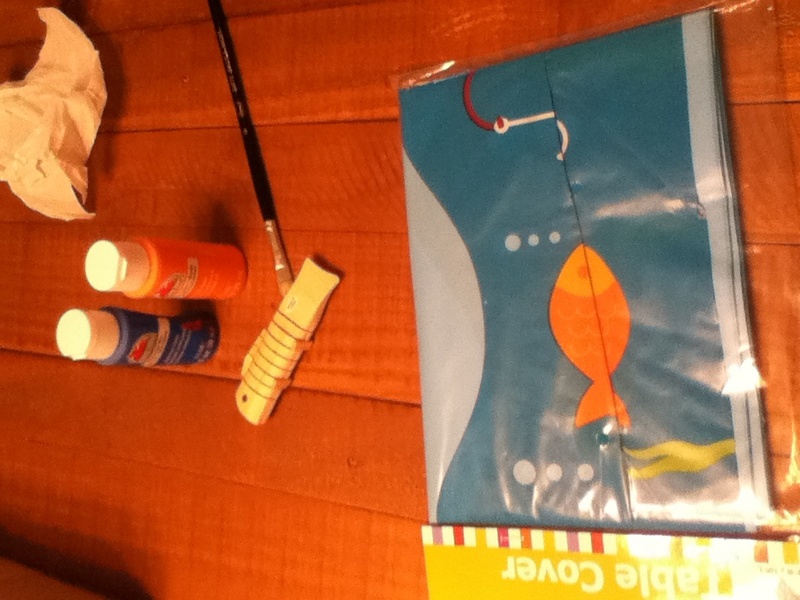 I will set up a tent and make a “campfire” ring to add to the camp idea. Cautions would include nut allergies, dye allergies, or milk and soy allergies. These students may need an option of fruit leather or fruit juice and skip the sugary stuff. 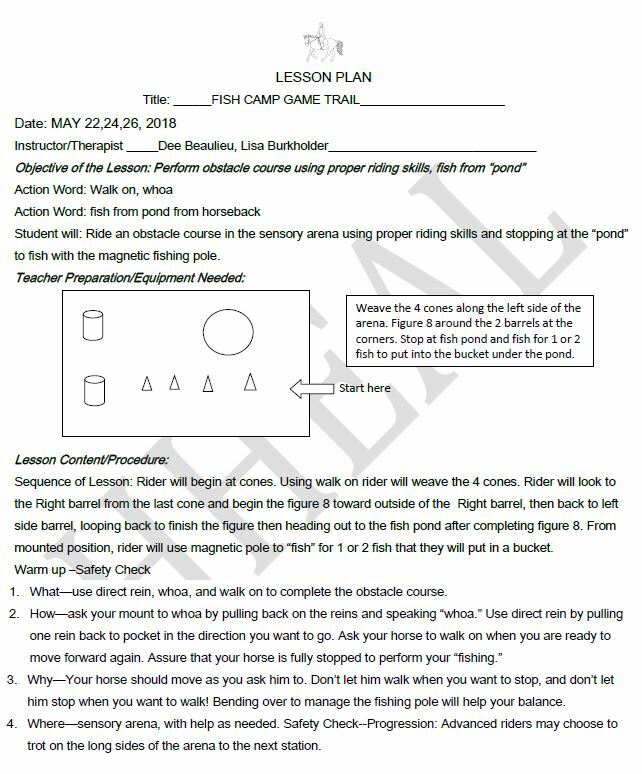 Click the image for a bigger picture of the lesson plan for the Fish Camp riding class, or click the link below it to download the PDF. 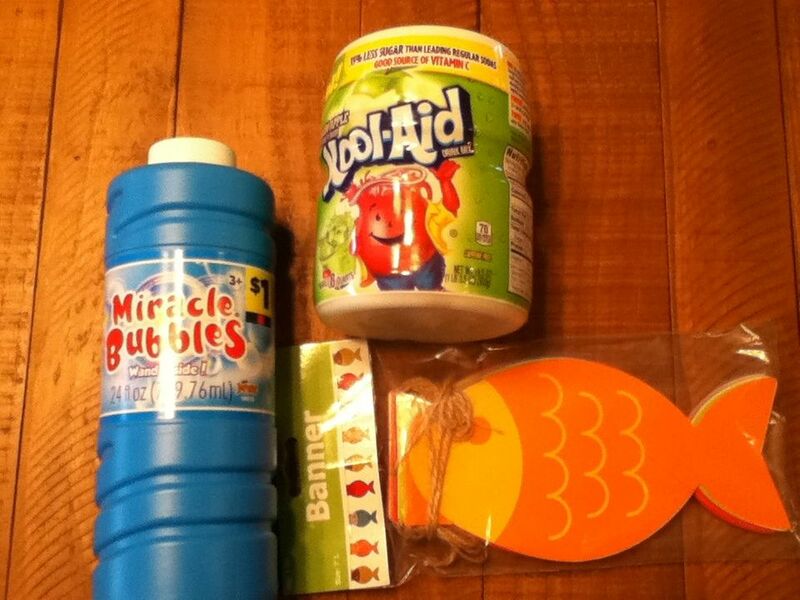 I found much of these items either at Oriental Trading Co., or at Walmart. Walmart gave us a gift card to cover the cost of the food items. We usually have 3 days of classes during the week, so this theme will be fun and give a sense of continuity and celebration to all our riders for the last week of school. 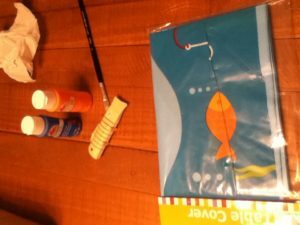 Here are some pictures of the supplies. And here’s a pic of fishin! 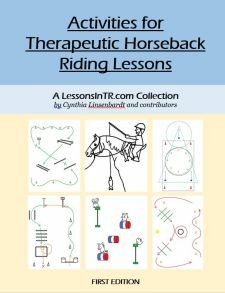 This activity is very adaptable to most riding skills, so you can use it for all your riders all day, just add a lesson plan objective that is specific to your rider’s skill. 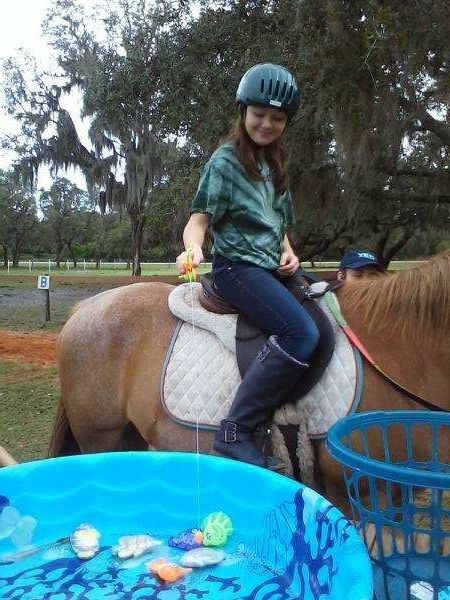 I also love that besides having a special lesson activity, she is having additional activities outside of the arena to celebrate the last day of sessions before summer! 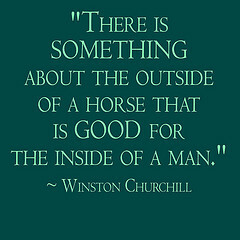 Are you doing anything special for your last week of sessions?